Welcome to P&G Fluid Power, Inc.
P&G Fluid Power supplies industry with turn-key automated lubrication systems and other industrial equipment supplies. We maintain an extensive inventory of systems and components in their Metro Detroit warehouse, in-stock and ready to ship today. P&G also has the capability of engineering and manufacturing custom systems for whatever your application may be. 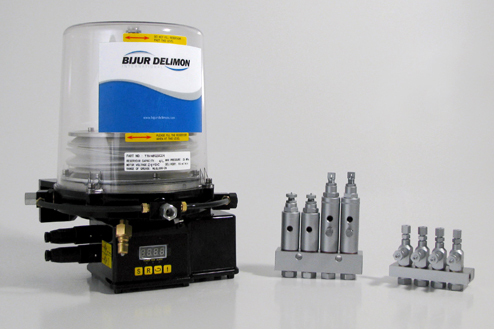 P&G Fluid Power, Inc. is the manufacturer and master distributor of JET-SET® hydraulic spray lubrication equipment. In business since 1963, for over 5 decades JET-SET® has supplied the metal forming industry with superior service and spray lubrication systems. 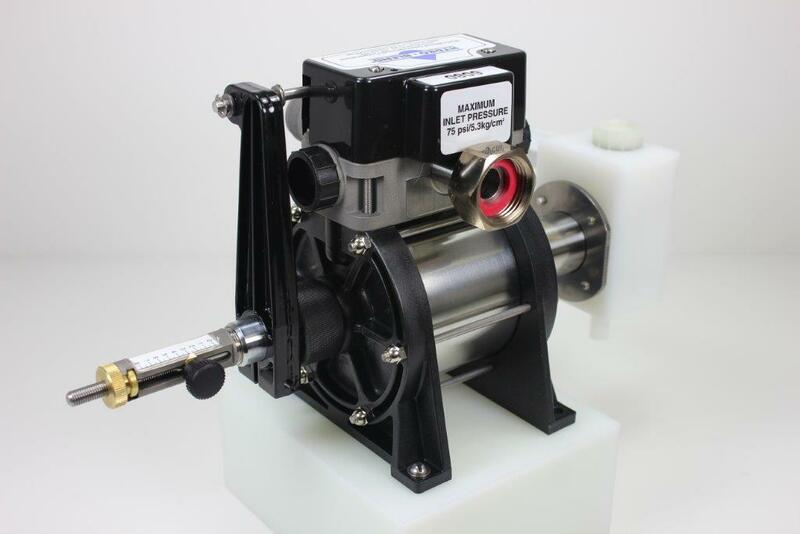 JET-SET® offers a number of different options of systems, pumps, nozzles and controls. When it comes to service and support, no one in the industry has more knowledge and experience with JET-SET® than the P&G team. 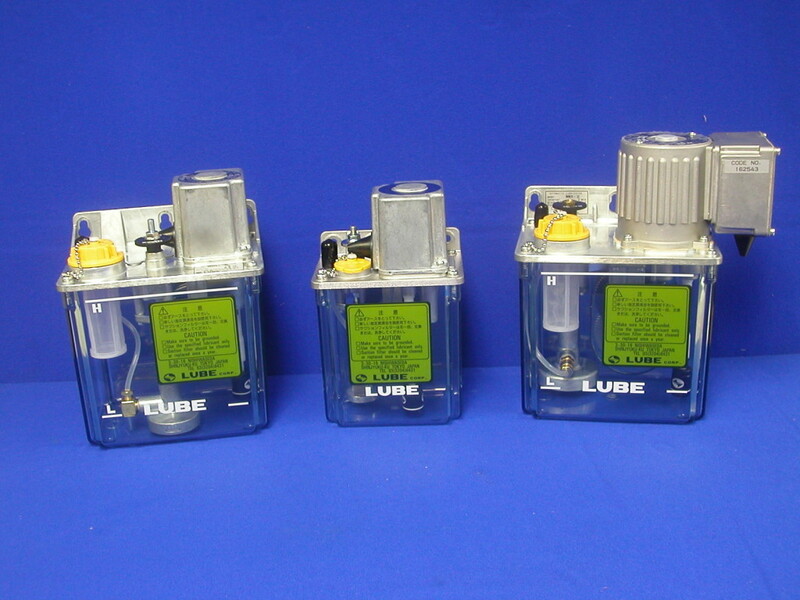 Founded in 1987, Lube USA, Inc. is located in Greenville, South Carolina. In 1992, Lube USA merged with Lube Corporation, headquartered in Tokyo, Japan. The product line of Lube Corp. plus their 40+ years of serving the lubrication systems industry lead to the perfect match between Lube USA and Lube Corporation. Since the merger, Lube USA has been serving the industries such as machine tool, plastic injection molding, packaging, metal stamping, food processing, wood working and automotive. Lube USA products are used wherever bearings, ball screws, conveyors, high-speed spindles and other mechanical parts must be centrally, automatically and precisely lubricated with oil or grease. P&G Fluid Power, Inc. is proud to partner with Lube USA to bring our customers their high quality and affordable product line. P&G Fluid Power is a stocking distributor of Lube USA products. We have everything you’d need to assemble a central lubrication system. FINALLY, A SHAKER THAT ELIMINATES MAINTENANCE PROBLEMS! – Easily reversible! Can move scrap away from or toward unit. – Electric, costs much less to run! – Two year warranty! Handles more weight than any air shaker! – Fits presses up to 240” bed! – Complete system, has supports for both sides of the press. 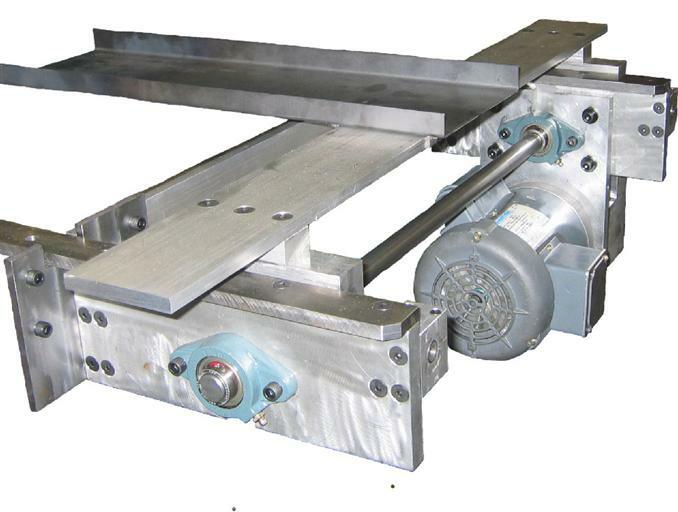 – Driven from both sides of press, which eliminates tray balance problems. This style unit has been running on a large stamper’s presses for more than 30 years with great success. They run with minimal downtime and parts replacement. All but machined parts are standard and can be purchased from your local suppliers. This unit is more efficient than air shakers and has a three to one speed ratio one direction verses the other. Your operators and maintenance people will thank you for purchasing them. Email us and we will send you more information. 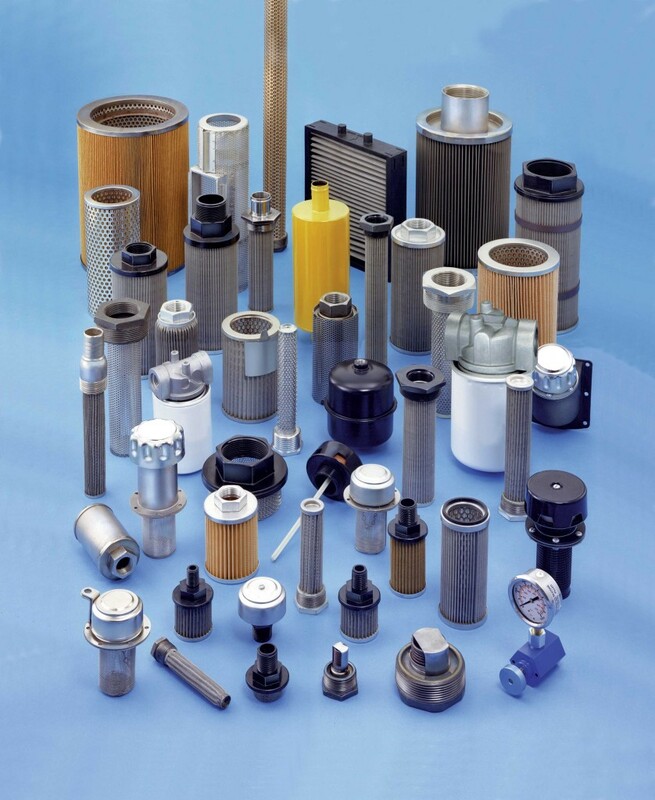 Flow Ezy has been manufacturing filtration products since 1945. That is 70 years+ of concentrating on one type of product. They only make filters and they’re good at it. They do not pretend to make anything else. Filtration is their concentration. All products have been, are, and will be made only in the U.S. They have designed and engineered their complete product line of quality filtration products to meet exacting standards, giving our P&G Fluid Power customers superior, cost-effective performance. Need a custom filter? P&G Fluid Power’s team can manage the process to get that for you too. Hydroblend Proportioners are used extensively in the metalworking industry to mix water-soluble coolants, lubricants and low dilution high viscosity drawing and stamping compounds. Ensuring your metalworking concentrates are mixed properly, the Hydroblend will do its part to optimize your efficiency and profitability. At Hydroblend, quality and reliability are never compromised. The Hydroblend is a water powered chemical metering pump and can therefore be located near an isolated water source without electrical connections. Installation is simple, straightforward and takes very little time. Your metalworking concentrate will perform as intended only if it is diluted properly. A consistent and accurately diluted effluent will reduce waste, extend tool life, improve surface finish, and optimize sump life. At P&G Fluid Power, Inc. our staff has over 75 years of experience helping stampers, machine builders and maintenance professionals select the proper lubrication equipment for their applications. Through our JET-SET® line, we support over 17,000 pumps in production applications around the world. Our team is skilled, ready and able to make your project their priority. Contact us today! P&G Fluid Power, Inc. supplies the metal working industry with turn-key automated lubrication systems. P&G is an official distributor of LUBE USA products and the manufacturer and master distributor of JET-SET® hydraulic spray lubrication equipment. In June of 2010, P&G Fluid Power acquired all of the rights associated with JET-SET® spray systems. 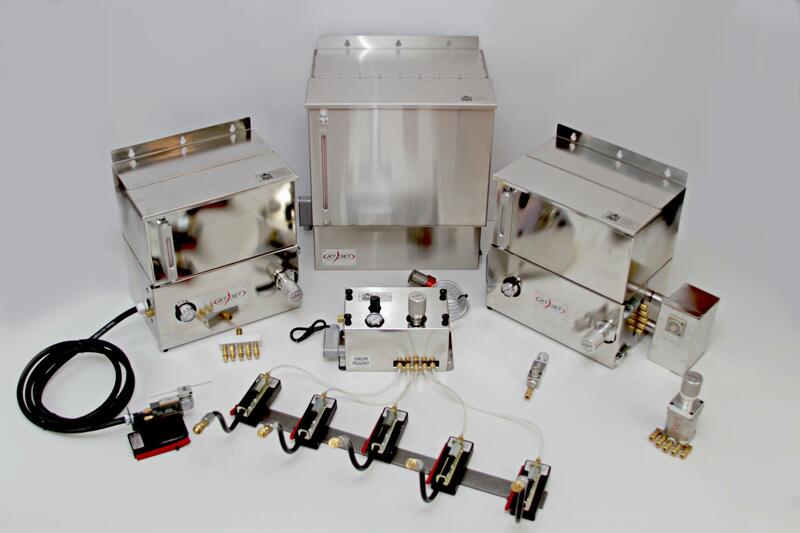 JET-SET® spray systems have a long history of superior performance with very little maintenance. P&G’s engineering and manufacturing capabilities made JET-SET® a perfect fit for the P&G family. Our staff has over 75 years of experience helping stampers, machine builders and maintenance professionals select the proper lubrication equipment for their applications. P&G’s beliefs are simple; we stand behind our products until the customer is satisfied and we strive for perfection in each and every project we tackle. We are not in business for profits, we are in business to make a contribution to society. We believe that by concentrating on customers, employees and our community, profits will take care of themselves. © 2010-2017 P&G Fluid Power, Inc.